Lux Lucis, patria della cucina stellata Michelin dello chef Valentino Cassanelli, riaprirà i battenti venerdì sera 15 marzo 2019 al Principe Forte dei Marmi. Lux Lucis, home to the Michelin-starred cuisine of chef Valentino Cassanelli, will reopen its doors on the evening of Friday 15th March 2019. Following a hugely successful 2018, Lux Lucis will be back with a new tasting menu “On the Road Via Vandelli”, which this year takes guests on a gastronomic odyssey from Modena, Valentino’s hometown in Emilia-Romagna, over the Apuan Alps to Tuscany’s coastal town of Forte dei Marmi. The origins of the modern Via Vandelli date back to the 18th century and was the first road in Europe to be provided with inns, taverns and staging posts. In honour of this, Valentino has created a 13-course menu celebrating this unique passage, focussing on the very best of regional produce from land-locked Modena, up and over the mountain pass and down into the lush hinterland of Forte Dei Marmi and out over the Tyrrhenian Sea. The annual four month winter closure, has gifted Valentino and his kitchen brigade the time to travel, research, develop and refine dishes, working together to create a menu that heralds and celebrates the beginning of spring. In addition, the sommelier team lead by Maître Sommelier, Sokol Ndreko have worked in tandem with Valentino, further developing the drinks pairings, not only with wine but cocktail combinations too, introducing Nocino, a liquer made from walnut shells and aged over eight years and that most ancient of alcoholic beverages, Mead. Over the past few years, Lux Lucis has undergone huge refurbishment, transitioning from the ground floor to the rooftop of the main hotel. The move has afforded guests, not only uninterrupted 360 degree views of the mountains and sea but also the perfect platform to enjoy the unique sculptural art of Korean artist, Park Eun Sun. In addition the open, show kitchen ensures a front row seat into the stage that is the theatre of the chefs during service and this year, greater emphasis will be placed on tableside trolley service, enhancing the dining experience even more. Continually evolving, the Lux Lucis team strive to provide the ultimate in guest experience, creating a bridge between tradition and the contemporary and transforming each visit into unforgettable memories. Lux Lucis will be open Wednesday-Sunday from 7:30pm until 10pm, and for dinner daily from 1st July until 1st September. 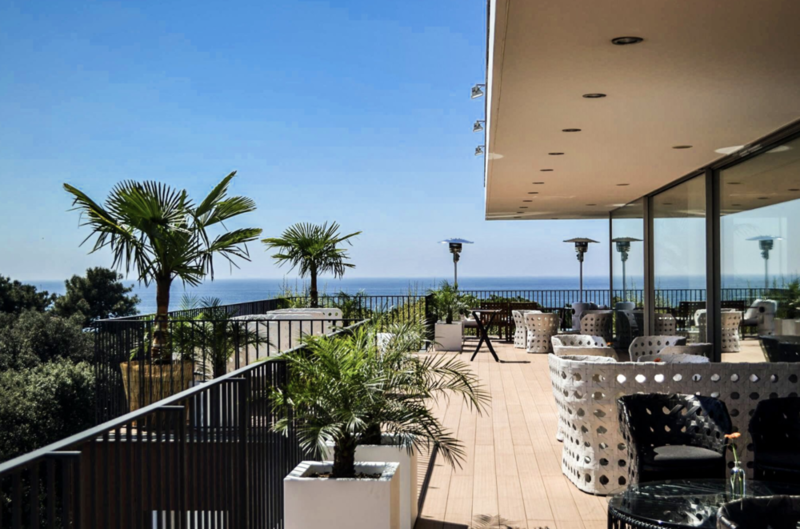 Lux Lucis is situated on the rooftop of Hotel Principe Forte dei Marmi, in a stunning landscape caught between mountains and sea. The 24-seat restaurant is ideally positioned to capture the aureate evening light, offering panoramic views over the town’s stone pines to the Apuan Alps in the east and westwards over the Tyrrhenian Sea. Valentino’s dishes are a free expression of Italian cuisine, drawing not only from his own life experiences, but also the rich biodiversity surrounding the coastal town of Forte dei Marmi. Inspiration too comes from his close collaboration with Maître Sommelier Sokol Ndreko, with dishes often beginning with the flavour profiling of particular wines. The restaurant achieved a first Michelin star in 2017. In 2018, Principe Forte dei Marmi was awarded Best Dining Experience by Condé Nast Johansens Awards for Excellence. Born in Modena in 1984, Valentino Cassanelli inspiration came from his his grandmother who was an excellent home cook. Valentino developed a strong sense for the quality of local produce and watching and learning the processes of preparing seasonal produce to provide daily meals for the family. He went on to study at the catering college in Serramazzoni, where he was sent to Floriana in Beauchamp Place in Knightsbridge, before returning Italy to gain professional experience in a more traditional restaurant in Modena. After graduation, the lure of London’s dynamic restaurant scene saw him back in England, gaining experience in Mosaic in Mayfair, followed by Locando Locatelli in Marylebone and later Nobu on Berkeley Street. Valentino then returned to Italy to work under two Michelin starred Carlo Cracco in Milan, where he remained for three years. Then in 2010, Valentino was asked to join two chef friends at their popular restaurant Sangal in Venice, where he grew creatively as a chef. Valentino arrived at Principe Forte dei Marmi in February 2012, following recommendation from Carlo Cracco to lead the hotels new F&B project. 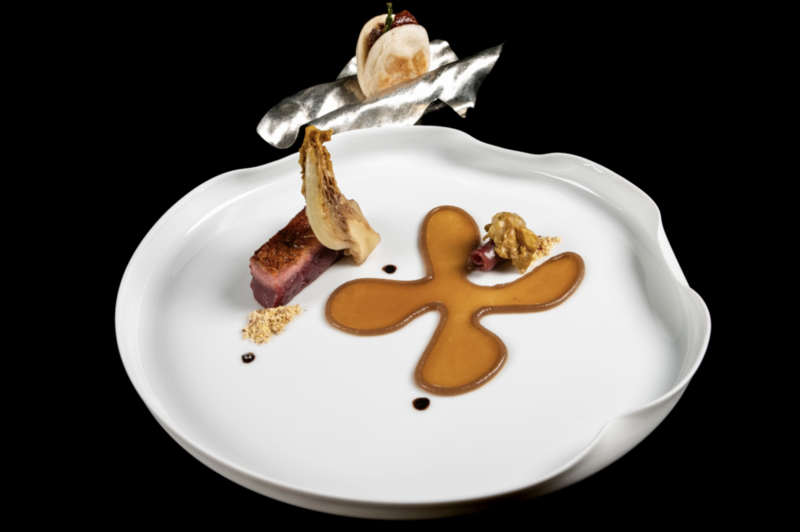 A month later, restaurant Lux Lucis opened to huge critical acclaim and gained its first star in The Michelin Guide Italy 2017. Mauro Colagreco’s Menton restaurant, Mirazur, is one of the most iconic restaurants of our time. 12 years since its opening, Colagreco has published his first cookbook, including 65 of his fabulous recipes alongside an encyclopedic lens into a world of shifting territories, overlapping maps, blurred boundaries; a mixture of languages, identities, knowledge and flavours, that together have created the two Michelin starred restaurant, currently ranked no.3 in the World’s 50 Best Restaurants (2018). A combination of alpine air and salty maritime perfume, friend and contemporary, Massimo Bottura, opens the book with a preface describing the mythical frontiers of the Côte d’Azur and the natural ability of Colagreco who acts as interpreter via his food. Photographed by Eduardo Torres, the Mirazur book boldly portrays the space in which the kitchen occupies: the magical environment just before France turns into Italy, between the Mediterranean Sea and the Maritime Alps, amongst the orchards and gardens cultivated by the locals. Paying particular attention to the producers whose lives are so deeply rooted within the region, the abundant markets that supply the restaurant and the team within the Mirazur kitchen, this book invites you to discover the soul of Colagreco’s restaurant. 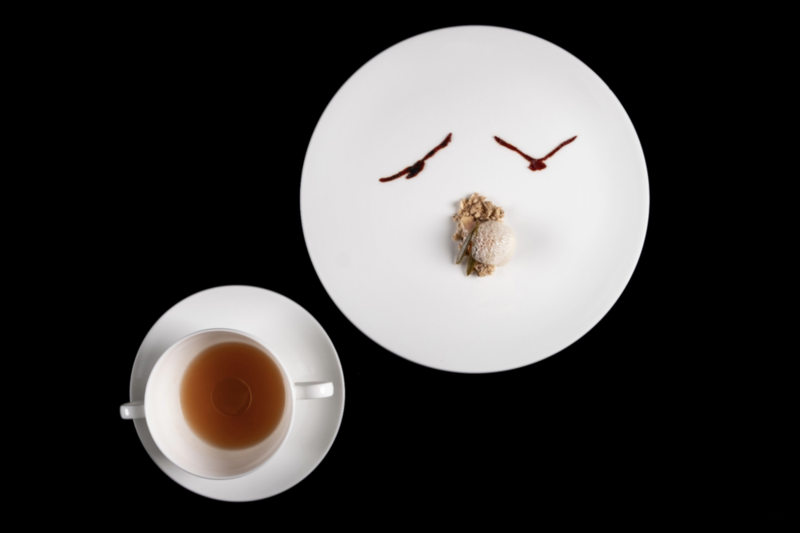 Across the 372 pages of Mirazur, Colagreco delves into his vision of gastronomy, following a philosophy that dictates each day’s menu, designed according to the best available products from the region: “a blank menu changes every day with the landscape. Sea, garden and mountain in three hundred and sixty five seasons.” Mauro Colagreco. Learn the meaning of a ‘frontier cuisine’, an entity defined by its landscape and its relationship between tradition, history and culture. Colagreco’s ability to translate the intricacies of such a region, that combines the French savoir faire with Italian bella vita, has positioned him amongst the top culinary minds across the globe. His book will enrapture any who seek a deeper understanding of the Côte d’Azur but above all, those who are lovers of food. Mirazur by Mauro Colagreco is available in English, French and Spanish. On sale at all good bookshops and Amazon. Tuesday 2nd October brings the arrival of Kym’s, the new restaurant from Michelin-starred Chef Andrew Wong. 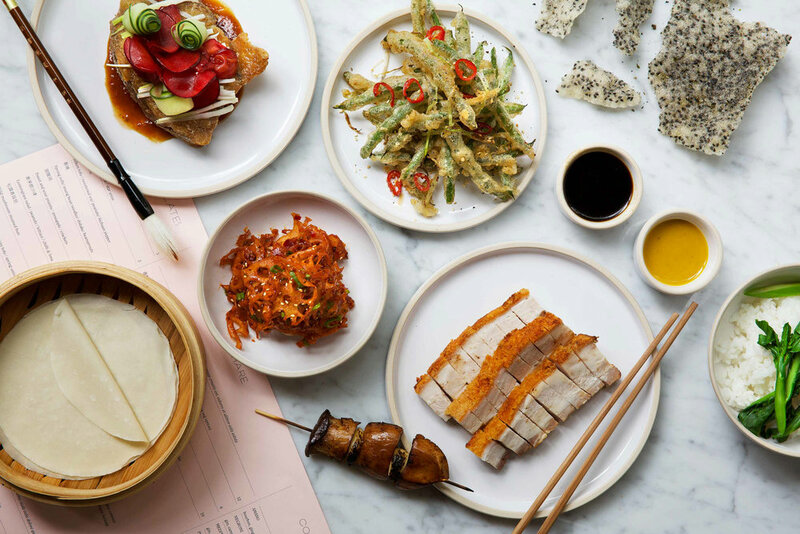 Focusing on the ancient craft of Chinese roasting and nostalgic flavours, the menu at Kym's pays homage not only to the many gastronomic regions of China, but also to the creativity and craftsmanship of London’s Chinatown. The restaurant will seat 120 guests over two floors. It includes circular entrance bar, takeaway offering and private dining area available for exclusive hire. The final of the biggest street food competition in the world is heading to Berlin. All summer long, countries all over Europe have been hosting their own national awards. Now, the winners are coming to Berlin to battle it out at the FINALS of The European Street Food Awards 2018 – and win the right to be called European champion. The national champions will be driving to Germany from all over the continent. Whether it’s an organic crepe cooked up on the back of a bicycle from Paris, a crisp fenugreek salad from Georgia, or the best burger in Finland, the public will get to try Europe’s best street food all in one place. And then vote for their winner. The prize? One HUGE trophy. Oh, and a lifetime of bragging rights. Gearing up to be the most exciting event on the street food calendar, the massive street food party will feature a celebrity judging panel (Including Michelin-starred chef Max Strohe from Tulus Lotrek and Evgeny Vikentev, one of Russia’s most famous young chefs - soon to be opening up CELL restaurant in Berlin) and the big Awards finale at 8pm, plus guest DJs, brilliant bars and all the usual Bite Club vibes in the September sunshine. “We’re really excited that the ESFAs are coming to Berlin again this year" says Miranda Zahedieh of Bite Club. "Last year was a huge success – but Malzfabrik will take things to a new level. As one of the pioneers of the street food revolution we love to recognise and celebrate these talented young chefs, and the ESFAs gives us access to the very best that’s out there”. 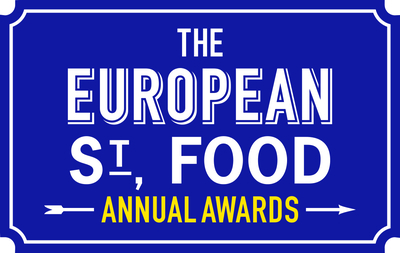 Launched by the team behind the British Street Food Awards – founded in 2009 – the European Street Food Awards were established in 2017 to recognise the best of the new food heroes who are selling food on our streets. The 2018 finals will see twice the number of countries competing to be crowned Best In Europe. Berlin is defined by its freewheeling nature and it’s that sense of fun that’s at the core of Bite Club. Bite Club was launched in August 2013 at their beautiful Kreuzberg riverside site next to Badeschiff, rolling out twice a month on Friday nights. They have recently set up Bistronomie Club, a sister organization, in France. Andrew Wong’s Bloomberg Arcade restaurant, Kym’s, to open September 2018. Chef Andrew Wong’s latest restaurant Kym’s is set to open its doors September 2018 – date to be confirmed. Located in Bloomberg Arcade, at Bloomberg’s new European headquarters in the City of London, Kym’s will be a modern premium casual Chinese restaurant with a relaxed and comfortable interior. Internationally acclaimed chef Rob Roy Cameron and drinks specialist Tony Conigliaro are set to open the doors to Gazelle on Monday 9th July. Following the huge success of last year’s inaugural St. Petersburg Gourmet Days, the international culinary extravaganza returns this June with an even bigger and better itinerary. After 18 successful years, multi-award winning chef David Thompson has concluded his involvement with Nahm, the restaurant he created with Como Hotels. Monday 12th March 2018 has seen the opening of TITU in Mayfair’s historic Shepherd Market. Rigo’ Chef Patron Gonzalo Luzarraga welcomes Michelin-starred Chef Eugenio Boer for an exclusive four-hand Italian dinner. Dinner by Heston Blumenthal, the chef’s multi-award winning restaurant will open in The Royal Atlantis Resort & Residences, Dubai in 2019. With locations in London and Melbourne, this will be the third outpost of the culinary concept developed by the Michelin-star chef. Andrew Wong, Chef proprietor of Michelin starred A.Wong in London’s Victoria, is the latest to join the all-star line-up at Bloomberg Arcade, the pedestrian dining arcade running through the site of Bloomberg’s new European headquarters in the City. From 22nd – 26th November chefs Mauro Colagreco and Jorge Vallejo and their teams will swap restaurants, taking their signature dishes across the Atlantic for an unprecedented, exclusive, restaurant event. Core by Clare Smyth will open its doors on Tuesday 1st August 2017. Located at 92 Kensington Park Road in London’s Notting Hill the restaurant will feature the cuisine of the chef patron Clare Smyth. You can make reservations online. Just visit: www.corebyclaresmyth.com and click on "Reservations". Chef Clare Smyth’s first restaurant, Core by Clare Smyth, is set to open its doors July 2017 – date to be confirmed. Located in London’s Notting Hill at 92 Kensington Park Road, Core by Clare Smyth will be a modern fine dining restaurant with a strong British ethos, in an elegant, relaxed interior. Nestled snuggly in the heart of South Kensington, CERU restaurant brings the fresh and colourful flavours of the Levant to London, offering a contemporary take on gastronomy from the Eastern Mediterranean coast. A stellar line-up of some of the world's leading chefs is confirmed to cook alongside Michelin starred chef Alyn Williams this June for the return of CHEFstock.